My name is Eric and I am your host of Straight from the Teet, where I will delve into 7 new albums per week and let you know which tracks I loved from the albums I listened to. I hope that my exploration through this never-ending sea of music will help satisfy that hunger for the brand new tracks you have been seeking. 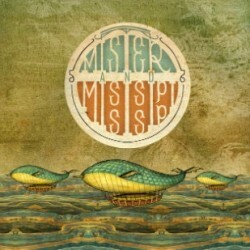 My Monday record this week was a self-titled debut album by Mister And Mississippi, a four-piece indie folk band from the Netherlands. The band formed in 2011 and has building a lot of stir about their sound which many followers claimed was a Fleet Foxes meets Fleetwood Mac. After listening to this album, the influences are discernible. The band uses combinations of folk, pop, and some atmospheric post rock elements to capture a very dreamy-esque style of sound. The record is full of fun spots where the acoustic pop sections really take over and male/female lead singing duo Samgar Lemuël Jacobs and Maxime Barlag make some gorgeous melodies vocally. Together, Jacobs and Barlag sound a lot like Oakley Hall, another indie folk band that came and went quickly in 2007. Both bands have a tendency to spotlight their acoustic instrumentation and with the whaling notes, it ends up translating into an almost country style of folk rock. On the other hand, Mister And Mississippi tries to create some very vibrant landscapes for their music to play in. Although I doubt that Mister And Mississippi is trying to follow into a post rock theme, I think the beautiful and picturesque panorama you get of the Netherlands' countryside really adds to the longing for more atmospheric instrumentation. These unique combinations really do a nice job of working together and we're able to experience a flurry of different emotions while experiencing the entire record. This is a very ambitious debut album by a band that hasn't yet reached their full potential but surely knows how to get there. Nick Cave is a true veteran of indie rock music, having been recording albums with his band Nick Cave & The Bad Seeds since the early 1980's. Throughout his music career, he has been widely considered one of the best art rock musicians of all time and although I personally think that's a bit of an exaggeration, there's no questioning Cave's unique style and ability as both a songwriter and instrumentalist. Throughout the band's long history, there have been countless changes to the personnel but the sound has generally remained similar as Cave's touch hasn't significantly changed much. 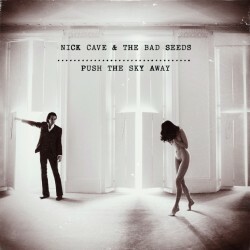 Push The Sky Away is the newest album by the band and first since 2008's Dig, Lazarus, Dig!!! which I didn't find to be all that enjoyable. On this record though, Cave has really slowed things down. The music revolves even more heavily on Cave's deep, bassy vocals while other instruments such as guitar, drums, and strings follow in a more subtle fashion. This might have something to do with the fact that founding member Mick Harvey decided to leave the band in 2009, leaving a hole in the band's identity who longed for their guitar player. Each song requires a much heavier attention level from listeners as the songs take time to form but once they do, it's very worth it. In this regard though, I still find it difficult to unquestionably enjoy Nick Caves lyricism and style. His songs still fall short of exciting yet don't quite fill the dark, foreboding atmosphere they hope to well over. If I wanted to listen to David Bowie who perfected this style, I'll just listen to David Bowie, you know? In the end, some songs are much better then others while some almost cease to exist. I will obviously be in the minority here, but I just still not sold on Nick Cave as a musician. I came across Auditive Escape when fellow EARMILK contributor Phillip Yung sent me his bandcamp link a few weeks ago (thanks Phil!). I was instantly hooked on the beats from this record. 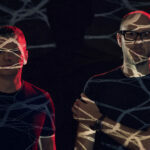 The album is a downtempo record that is less trip hop then it is just a chilled out minimal electronic record. The beats are all wonderful and have some great production even though you can tell the final product is at a low cost. Now, there is very little I was able to discover about this solo artist aside from his name, Jean Patier, and his location, France. By all accounts, the man is a ghost. 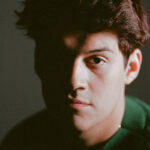 His music though, a wonderful blend of electronic programming. 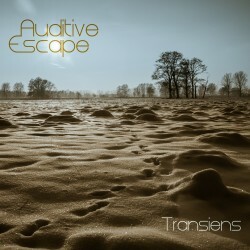 Transiens is his latest work and follows a decently long list of albums prior to it. This album though is by far his cleanest cut as production really outdoes itself. Downtempo records usually have an issue with cluttering as they find an artist who is trying to do too much in too little time. When this happens, the beats get totally disorienting and less rhythmic as songs just become a nuisance. On here fortunately, Patier finds a great balance between his programming and the space between the notes. In other words, the songs off this record are able to breathe and react to each note. None of the beats off this album show any signs of congestion and even though this record might show signs of wear and tear by the time you've listened to it a few times, the songs still manage to prove themselves nicely. 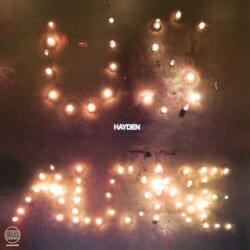 Paul Hayden Desser began recording music under the name Hayden in 1994. His music took a while to catch on but by the time 2001 rolled around and he released his album Skyscraper National Park, people really began to take notice. His quick rise to the VIP indie list didn't exactly last but his music continued to be relevant for the years following that album release. Us Alone is the newest album by the solo singer/songwriter and I feel bad to say it, but the lack of change to his songwriting and style has really taken it's toll on his music as a whole. After 8 albums, you'd think that changes would almost just naturally occur but instead, Hayden just keeps rolling with the punches. The music on this album continues with the dry, lifeless vocals of the once prominent singer and on top of that, the music surrounding his voice adds very little to contribute to anything positive. The percussion is minimal and without character while piano chimes in like it didn't wish to be heard in the first place. The songs are all terribly produced as the hooks all come in with little energy and the melodies leave much to be desired. I'd be lying if I said I was expecting more from Hayden but to be honest, his career just never reached the same plateau since his prime years in the early 2000's. 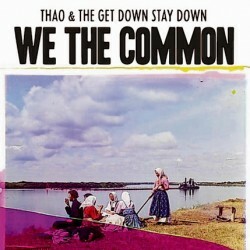 Thao & The Get Down Stay Down is a four-piece indie pop band headed by front woman Thao Nguyen. The band has only been together 5 short years and their newest album We The Common is by far and away their most confident. I first came across Nguyen when she sang guest vocals on an Emancipator track, "When I Go". On that track, Nguyen sings brilliantly over one of the most incredible downtempo beats of recent time. Her voice just had such a natural ability to fit into that type of setting as she has a deeper, sort of blue note vocal style. She's never going to blow anyone away with high range but when you layer her voice with percussion and strings, she represents a beautiful, signature type of sound. It was a surprise to me when I had first heard Thao & The Get Down Stay Down's debut record as the music wasn't anything even close to that downtempo style. Instead, her plan of attack is more in the vein of indie pop. On the band's first two records, they did make some nice tracks but I don't think Nguyen had found enough confidence yet in her abilities as a singer or guitarist and both records came up short of my expectations. On the band's newest album, things have changed. All of a sudden, Nguyen sounds like the most confident woman singer I've heard all year and the band has decided to rely on some more experimental rhythms with their instruments. 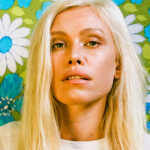 These songs are pop songs with a kick of this fun, experimental edge and the combination is incredibly pleasant. This album also shows off the best production they have gotten yet as each instrument just blossoms on the microphone. I still think the band has some growing to do but this record is a very decent album and the band's best effort yet. Back in 2010, lo-fi indie band Beach Fossils created quite the stir within the indie community with their debut, self-titled LP. The record generated a cult following a good amount of success for the young band. Combining elements of dream pop, post punk and lo-fi, Beach Fossils in my opinion were doing more fitting in then standing out. Regardless of how I felt about the album, it still did generate widespread buzz. It's been 3 years now since their debut and the band has changed a bit as bassist John Peña quit to focus on his other band Heavenly Beat. 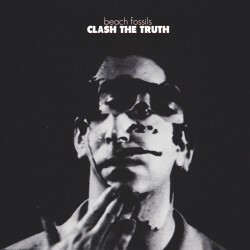 On their new record Clash The Truth, the band has remained true to their style but they have seemed to stick more towards the pop side of their sound rather then the post-punk that had everyone so amused before. This album is made up of your 3 minute lo-fi pop singles and the music still relies heavily on distortion and plenty of other instrument effects, hence the lo-fi tag. Although I actually grew to like a handful of the songs off this album especially tracks like "Sleep Apnea" which is one of the prettier tunes I've heard so far this year, I just can't help but think this band is just another leaf on the branch. They don't do anything to stand out with their music and in fact, other bands that they are compared to actually do it much better. Especially on this album, the band has totally surrendered to what everyone else is doing and the loss in direction hurts them even more in my opinion. Vanilla is a long time beat maker from Oxford whose 6 releases up to this point have been an adventure into the dramatic styles of trip hop beats and rhythms. 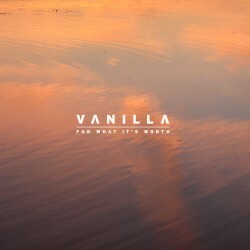 For What It's Worth is the newest release by Vanilla and is actually a collection of unreleased tracks that were formed throughout 2012. Each song is rather short in length, usually coming to less than 3 minutes which is an odd feature for any type of electronic/instrumental record but the beats are very smooth. On this release, Vanilla had incorporated more jazz elements into the style to give that cleaner, rawer edge that is so evident throughout. The smooth jazz styles actually give this album a nice identity that stirs away from the basic instrumental hip hop record. Although this album is more or less a collection of "B" sides, I'm still a bit disappointed by the track listing. Vanilla has been a very decent producer up until this point and his imagination has always ran wild with numerous amounts of ideas but on this album, he becomes too hooked on loops. The songs being incredibly short don't help his cause at all as they have very little time to manipulate themselves and become something more. You really shouldn't judge Vanilla on this album alone and even though I won't be cherishing this album, you should definitely check out his older, more exquisite material as this album is just too vanilla and plain. After another good week of album listens, I am more than ready to start another. If anyone is interested in purchasing or simply hearing any of these albums online, I have linked them for you at the top of this page to make it simple. I hope you have enjoyed reading this week's edition of Straight From The Teet and I look forward to bringing you a new group of records next week. Please leave comments here at the bottom and let me know what you liked or didn't like from this week's lineup. Have a great week and please support these terrific bands!